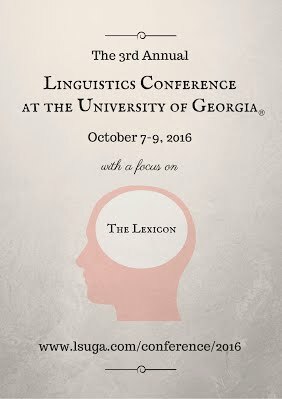 The third annual Linguistics Conference at the University of Georgia was held October 7 - 9, 2016. The central focus of the conference was "Lexicon". Click here for a PDF schedule.